VRC’s team of veterinary specialists have performed thousands of procedures and offer a multitude of advanced services to enhance or save the life of your pet. We offer the latest technology for diagnostic imaging as well as dedicated specialty suites. We collaborate closely with your family veterinarian to provide a timely and accurate diagnosis as well as recommendations for the best treatment options for your pet. VRC takes pride in offering concerned pet owners the most up-to-date technologies available for the assessment and treatment of your dog or cat. 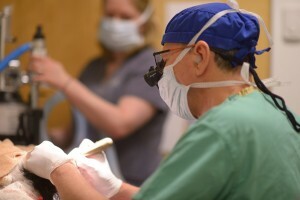 When it comes to arthroscopic (joint-related) surgeries, our veterinary surgeons believe in using minimally invasive tools and techniques such as tiny scope cameras that can be inserted via incisions of less than a quarter-inch to look inside of your pet’s joint. The images taken by these cameras can then be magnified in order to diagnose a problem quickly and accurately. These small incisions reduce your pet’s recovery time post-surgery, while also causing the least amount of scarring, pain, and overall risk to your pet’s health. Arthroscopic procedures are usually outpatient surgeries, or involve a simple overnight stay, so that your dog or cat can be back at home as quickly as possible to recover where they’re most comfortable. Veterinary dentistry requires specialized diagnostics and additional training beyond the veterinary medicine degree. To view a list of Frequently Asked Questions regarding Oral and Dental Surgery at VRC, click HERE. VRC offers on-site endoscopy (flexible and rigid) for pets, which is performed in our dedicated suites by experienced specialists with the expertise to safely examine and evaluate the internal tissues of the esophagus, stomach, nose, ears, bladder, colon, and lungs. While patients do require general anesthesia, endoscopy is considered a minimally invasive procedure and can often be performed on an outpatient basis. At VRC, we’re passionate about being able to offer your pets the latest advances in surgical techniques and the most up-to-date technology. Whenever we can, VRC’s surgeons choose minimally invasive procedures, such as laparoscopy, to get to the bottom of what’s ailing your dog or cat. Laparoscopy is an increasingly common diagnostic procedure where your veterinarian will make a small incision in order to inspect the abdominal cavity of your animal using a tiny fiber optic camera. Those pictures can be transmitted to a screen and magnified in order to see what’s really wrong. Sometimes a laparoscopic procedure may even be used to complete a surgery. The minimally invasive nature of the technique reduces the amount of trauma to your pet’s surrounding tissues and organs. It also means we can often perform this procedure on an outpatient basis or with a simple overnight stay for observation. It also reduces the amount of pain, recovery time, and risk of infection your pet will experience, as well as limiting their scarring and increasing their mobility. Faster healing and reduced pain and recovery time also mean we can prescribe your dog or cat fewer pain medications. Please contact us for more details and to find out how laparoscopic surgery may benefit your pet. VRC, established in 1972, was one of the first specialized veterinary hospitals in the country to offer advanced orthopedic surgery for pets. Our team has performed thousands of procedures and offers a multitude of cutting-edge surgeries to correct congenital conditions and repair injuries, including total hip and knee replacements, ACL repairs, bone and tendon avulsion repair, angular limb realignment, shoulder surgery, elbow surgery, and complicated fracture repair. As a complement to our orthopedic services, we offer comprehensive rehabilitation to help your pet return to optimal health. Our board-certified veterinary neurologist is available to diagnose and treat a variety of nervous system-related diseases and injuries in dogs and cats, including seizure disorders, non-infectious inflammatory nervous system diseases, brain cancers, movement disorders, and neuromuscular diseases, among others. When your pet is evaluated by a neurologist at VRC, a series of non-invasive and painless initial tests will be performed to determine which part of the nervous system is affected and to what degree. Once this is established, recommendations for a more precise diagnostic and treatment plan can be determined and discussed with you. Advanced imaging of the nervous system, particularly with Magnetic Resonance Imaging (MRI), is often required for accurate diagnosis in patients with a neurologic dysfunction as well as other specialized tests like spinal fluid analysis and muscle or nerve biopsies, most of which can be performed on-site. 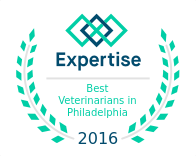 We always work closely with you and your family veterinarian to determine a treatment plan that’s right for your pet’s unique needs. We also offer physical rehabilitation options, which are often extremely beneficial as a standalone therapy or in conjunction with surgical or medicinal intervention in medical neurology cases. Whenever possible, our veterinary surgeons employ minimally invasive surgical techniques involving the use of tiny, pencil-size cameras and instruments that are inserted through very small incisions (less than a half-inch). Minimally invasive surgery (MIS), also known as laparoscopy, thoracoscopy, arthroscopy, or “keyhole” surgery, is an advanced approach that reduces post-surgery recovery time, scarring, pain, and overall risk. Our surgeons have extensive training in MIS and a dedicated operating room that utilizes cutting-edge surgical equipment. Procedures can often be done on an outpatient basis or involve just an overnight stay. Our neurosurgeons are experienced in surgically managing diseases and injuries of the nervous system, including acute spinal cord injury, spinal fractures and luxations, congenital defects, and brain tumors. With conditions that affect the spinal cord, immediate intervention is often essential for faster pain relief and shorter recovery times. A surgeon at VRC is available 24/7 to perform advanced imaging of the spinal column for diagnosis and emergency surgery if needed. Intervertebral disc rupture, one of the more common neurologic conditions seen in pets (especially dogs), is an example of one that may require emergency surgery to decompress the spinal cord, and we are always available to provide this service should the need arise. Once your pet has recovered from neurosurgery, our on-site physical rehabilitation services can help restore mobility and health. Atlantoaxial stabilization: Atlantoaxial instability is typically diagnosed in very young toy and small breed dogs and is most often caused by a congenital malformation. Brain tumor biopsy and removal: We can remove most or all of a brain tumor or cancerous tissue to help improve longevity and quality of life in some patients with brain cancer. Muscle and nerve biopsy: We can perform and evaluate tissue samples to aid in the diagnosis of various neuromuscular diseases. Spinal fracture stabilization: After a traumatic spinal injury, we can help restore and preserve mobility through surgical intervention and proper rehabilitative aftercare. 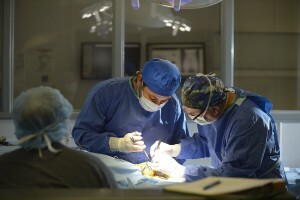 Utilizing state-of-the-art equipment and the most effective surgical techniques, the surgeons at VRC perform a wide variety of soft tissue surgeries, including abdominal procedures (gastrointestinal, spleen, liver, gallbladder, pancreas, kidneys, adrenal glands, and urogenital procedures), upper airway surgery, tracheal prosthesis, skin and reconstructive procedures, surgical oncology, head and neck surgery, and hernia repair, among others. Our veterinary surgical department represents the founding pillar of VRC. Our doctors, anesthesia nurses, and nursing staff take great care to minimize pain and achieve the best surgical outcomes. We encourage families to visit as often as you like, and we are available to update you on your pet’s status 24 hours a day. Here at VRC, our mission is to always provide the best, latest, and least invasive procedures to take care of your pet, no matter what may be ailing them. When it is necessary to inspect or operate upon something in your pet’s chest cavity, we use an advanced and minimally invasive surgical technique known as thoracoscopy. Using a small fiber optic camera or scope, our surgeons can inspect internal organs and tissues and even perform specific procedures with only a small incision in your pet’s skin. This not only reduces pain and trauma for your pet but also allows for faster post-operative recovery time and decreases the likelihood of infection or other risk factors. Your pet will be more comfortable with fewer pain medications, and thoracoscopic procedures can often be done on an outpatient basis or with just an overnight stay. At VRC, we offer emergency ultrasound 7 days a week and outpatient ultrasound by appointment with our board-certified internist. Not only will we perform the procedure, but we will also evaluate the imagery to aid in the diagnosis and treatment plan for your pet. WHAT IS AN ULTRASOUND AND HOW DOES IT WORK? Ultrasound uses sound waves at an extremely high frequency to visualize internal structures without radiation. These images are also able to show internal movement in real time, including blood flow through vessels and organs along with digestion. Ultrasound is often essential in the diagnosis of internal conditions like pancreatitis or symptoms like abdominal pain. It is also used to guide needle sampling procedures, which are performed to assist in the diagnosis of certain diseases like cancer. 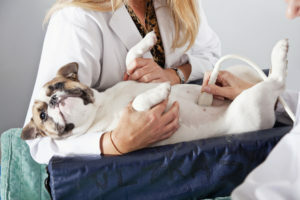 WHEN MIGHT MY PET NEED AN OUTPATIENT ULTRASOUND? If your pet is experiencing a medical emergency, an emergency ultrasound may be needed to make a fast, accurate diagnosis when seconds count. From detecting foreign bodies to cardiac issues, emergency ultrasound is a standard for human hospitals, which is why we offer it 7 days a week to our patients. Experienced emergency veterinarians, including a board-certified critical care specialist are prepared to utilize this essential tool to diagnose disease and save lives in our ICU. If you are a pet owner, you can make an outpatient ultrasound appointment by clicking here. If you are a family veterinarian and need to make an ultrasound referral, click here.